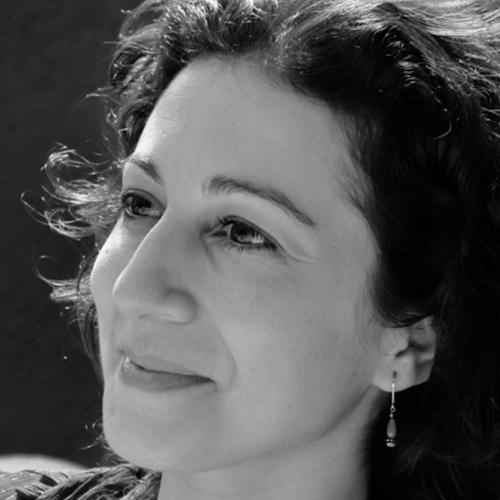 Laila Hotait Salas is a Lebanese-Spanish filmmaker and artist currently living in Mexico. Her work has received support from institutions such as the Arab Fund for Arts and Culture, the Sundance Documentary Fund Program, the Screen Institute Beirut and the Doha Film Institute, among others. Her first documentary film, Crayons of Askalan, was screened in more than 20 film festivals, including Hot Docs, the Doha Tribeca Film Festival, CPH:DOX and DocsDF. Her sound art works have been presented at international venues such as the Centre Pompidou in Paris, the Kunst-im-Tunnel Museum in Düsseldorf, and in art galleries around the world. Laila was selected by the CPH:LAB as an international emerging film talent in 2011. She is the co-founder of LAAVENTURA Audiovisual Productions together with her sister, Nadia Hotait. Laila holds a Ph.D. in Media Studies, received her M.F.A. in Film at San Francisco State University as a Fulbright grantee and currently teaches filmmaking at the Monterrey Institute of Technology and Higher Education (ITESM) in Mexico. Everything That Has a Future — An explosion in Cairo leads a woman to confront her family’s long-time secrets and solve the unforgivable mystery of her life. © 2019 Cine Qua Non Lab. All Rights Reserved.